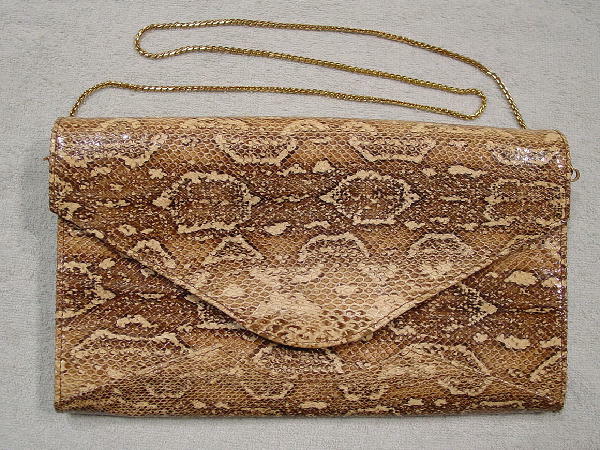 This envelope style snakeskin purse in maize and various shades of brown has a magnetic closure under the front flap, and a very, very nice tight link gold-tone 32" long chain. 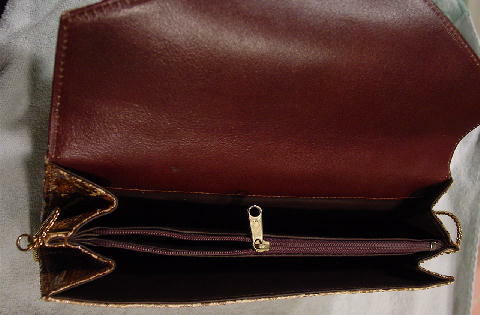 It has a brown vinyl interior lining with 3 sections. The center section has a top side to side zipper. The bottom front and back have an accent panel in a design (the same on both sides) that resembles two peaks divided by a valley. The sides are snakeskin as well. 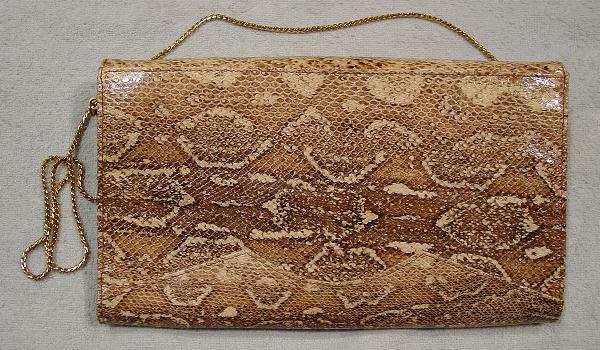 It's a very attractive looking purse with great colors and detailing and snakeskin with large scales. It was definitely a big snake. Wear it from daytime into evening.